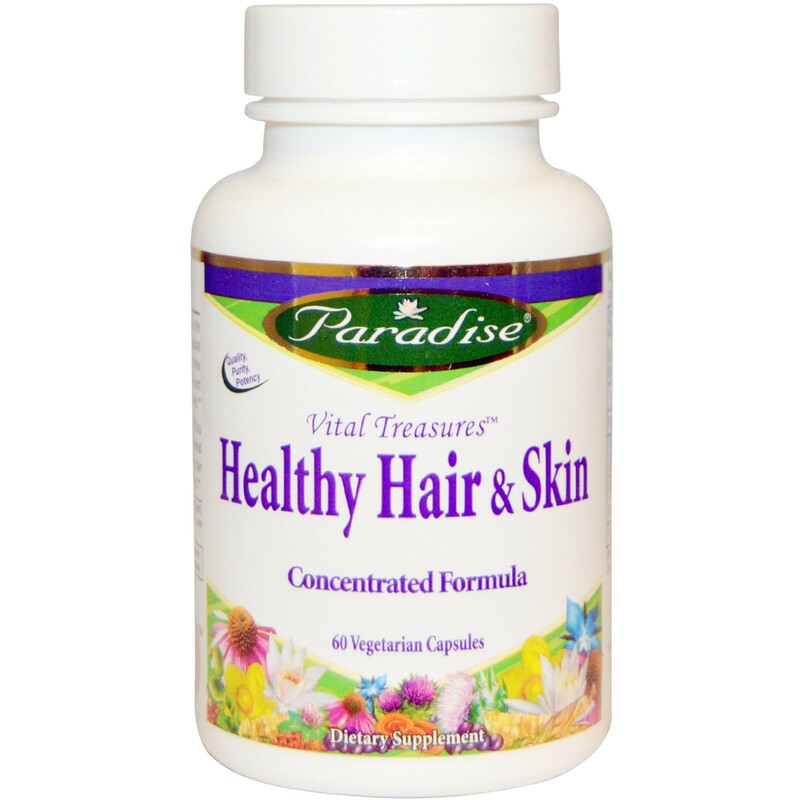 Paradise Herbs Vital Treasures Healthy Hair & Skin formula contains Shou Wu, Eclipta, Ligustrum and Amla, four of the most renowned herbs for supporting healthy hair and skin and maintaining hair color and fullness. Capsule (plant cellulose) 100% vegetarian. Made without fillers. 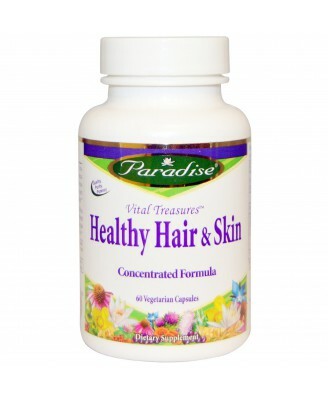 Paradise Vital Treasures Healthy Hair & Skin formula is the highest quality that nature has to offer. 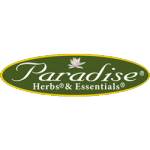 Using a 100% natural extraction method the true essence and breadth of the whole herbs are captured therefore retaining all of their active and synergistic constituents in the balanced ratio nature intended. 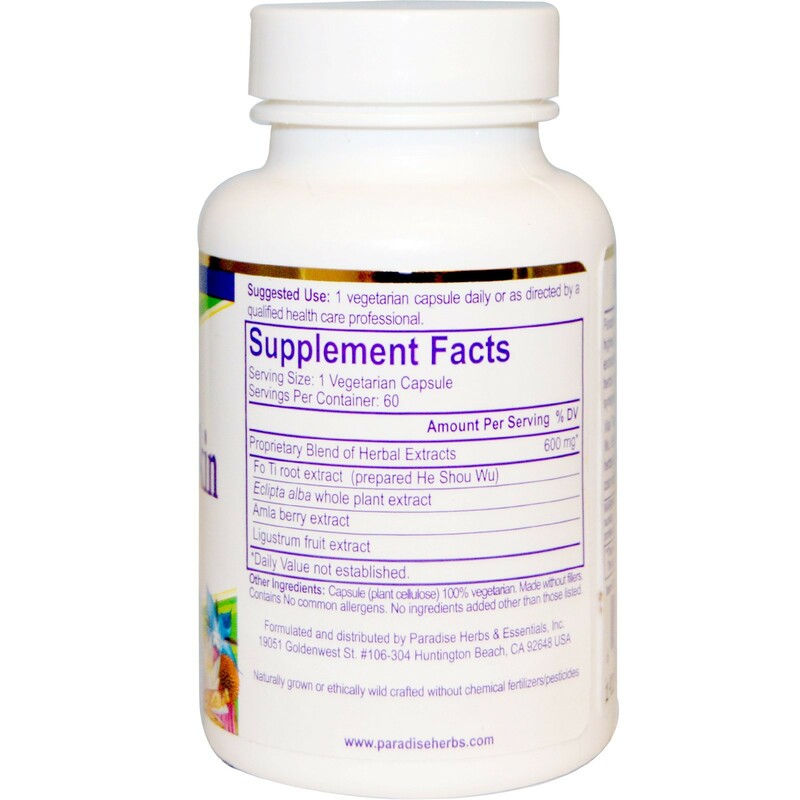 Vital Treasures Healthy Hair & Skin formula contains Shou Wu, Eclipta, Ligustrum and Amla, four of the most renowned herbs for supporting healthy hair and skin and maintaining hair color and fullness. Shou Wu is also a famous longevity herb.